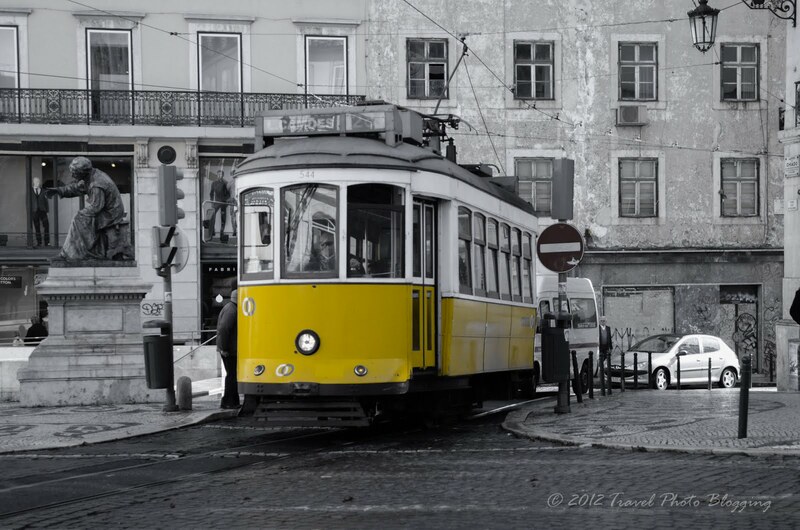 When thinking about the most photographed attractions of Lisbon those charming old trams definitely come to mind. The most popular of the lot must be those trams driving on the track #28. Tram 28 (or elétrico 28, as locals refer to it) is one of ‘must-do’ Lisbon attractions and at the same time a cheap way to visit most old town tourist attractions and Tagus River viewpoints. You can also conveniently hop on and off it. I guess all that popularity has a lot to do with its tracks running from square Praça Martim Moniz to Campo Ourique (Prazeres). The whole ride takes approximately 40 minutes. Tram 28 is unfortunately as popular with pickpockets as it is with tourists. There are even stickers on the tram alerting its users of this unfortunate thing. During our ride we watched a group of pickpockets on their work. There were five or six of them cornering their unfortunate victim on one part of the tram and trying to get to the contents of that old guy's pockets. In the end everything turned out fine and it seemed the guy came out of the event with nothing being taken from him. The group of no-goods left the tram on the very next stop to avoid any possible confrontation. At the moment of the event it was pretty hard to tell who was who. Only when I saw the whole group walk away, I realized they were all in it together. I advise you to secure all of your belongings before going on the ride. It also helps if you are not alone and someone can watch your back. I guess if you take reasonable precautions, you should be OK.
What fabulous photos of a beautiful old tram! I am so fortunate that I've never been pickpocketed but I'm reading a lot of scary stories lately so am ever vigilant! This line is quite famous for it... It seemed the no-goods have perfected their art pretty good. Luckily we just witnessed the show and everybody seemed to get out of it OK.